The weather looked good for the weekend and so we made a second attempt to find the source of the Severn. OK it may not quite be in the significant realms of Livingstone and the source of the Nile, but all explorers have to start somewhere. After parking in the forest car park in Forest Hafren. Handily this is on the banks of the river, and all we had to do was follow it upstream for 4 miles. As we climbed steady through the forest and out eventually onto the moor the clouds cleared away and we were walking alone in glorious sunshine. Moor can seem desolate places, but they take on a whole new persona when the sun shines. The colours that can be muted in the rain take on new palate of subtle browns, blacks and the green of new spring growth. 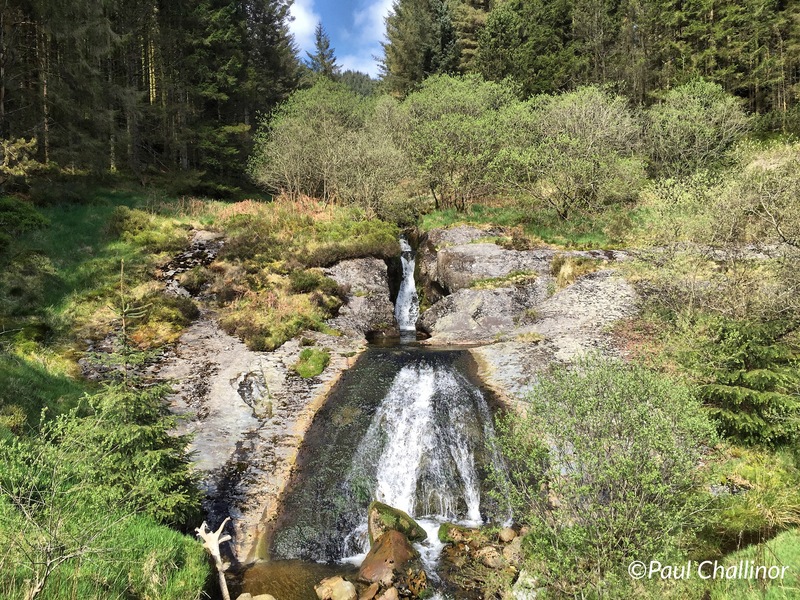 This small pool is the start of the mighty Afon Hafren. 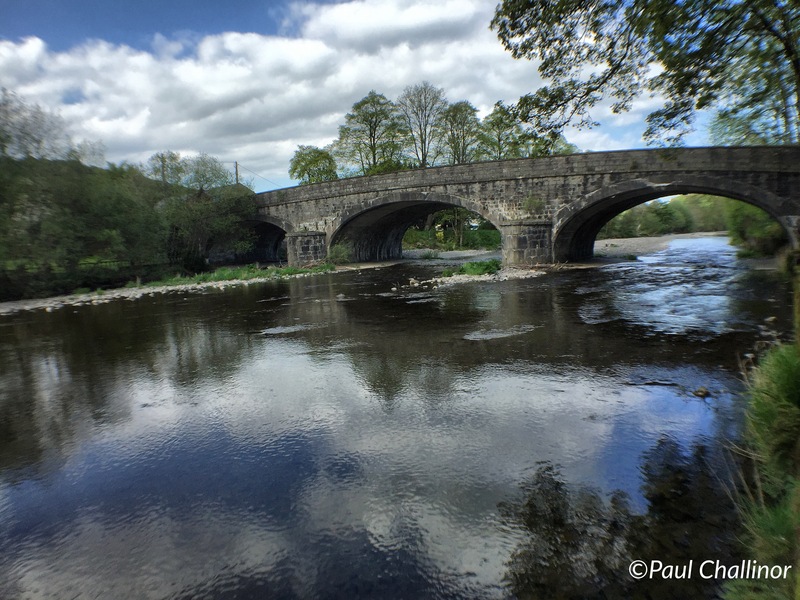 The Severn, or Hafren in Welsh is the UK’s longest river at around 220 miles. This may not be long in a world sense, but this river is full of mystery, power and the ability to surprise. We live very close to the Severn Estuary, and so it is fitting that we should also seek out the source. All rivers, not mater how great or humble have to start somewhere. 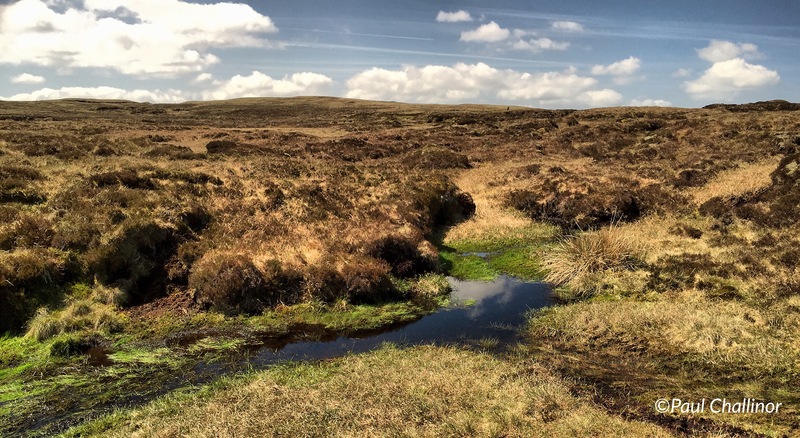 The Hafren starts in a small pool high up the hills in Mid Wales, on the northern slopes of Pumlumon (Five Stacks). This hulking lump of moorland has traditionally been known as one of the Three Mountains of Wales. It doesn’t have the splendour of the sharps crags and drops that Cadair Idris and Snowden boast. 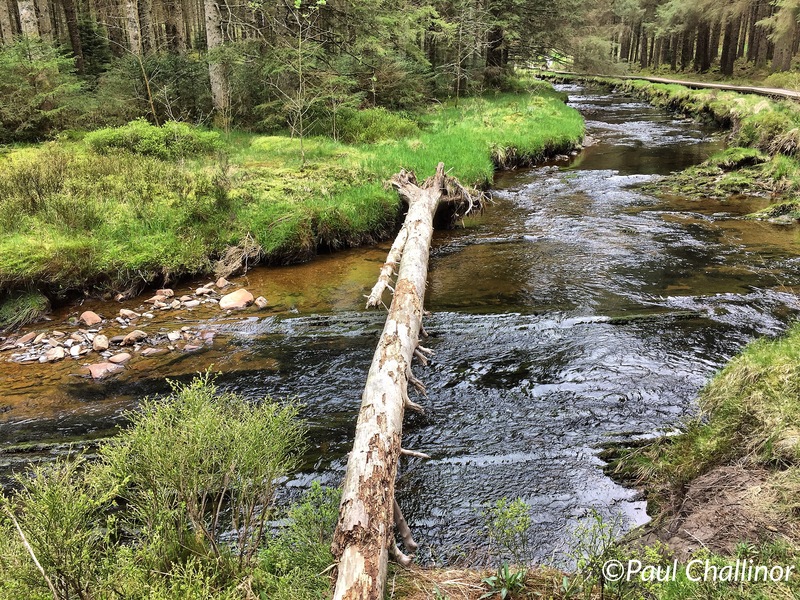 But Pumlumon is the source of three major rivers, the Wye, Rheidol and Hafren. Not many mountains can claim that. The hulk that is Pumlumon. As you look around the summits here you quickly notice cairns everywhere. This now desolate area must have had a fundamental and deep importance for the Bronze Age population who raised this these monuments. On a small summit, Pumlumon Cwmbiga, just above the source the twin cairns of Carn Biga stand proud on the horizon. The cairns mark the summit of Pumlumon Cwmbiga, the fifth of the five beacons or summits of Pumlumon. The cairns at Carn Biga overlooking and guarding the area. 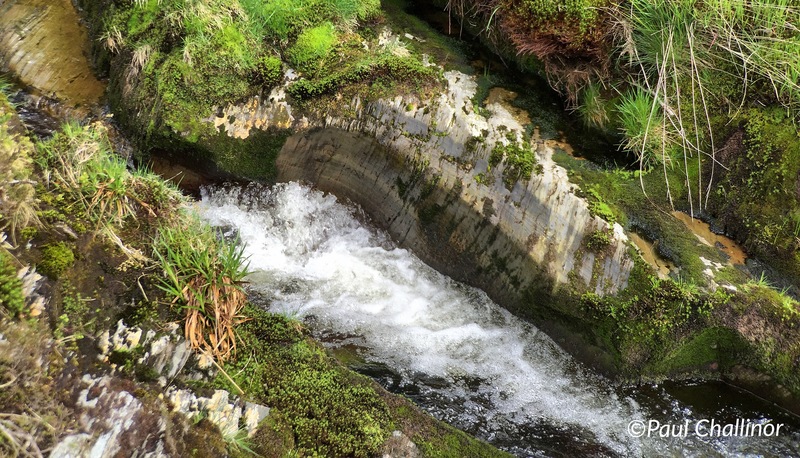 The river starts as a small trickle from the pool, but quickly picks up speed and volume as it tumbles down the mountain side. At first it is hidden, but within a hundred yards it’s possible to hear the river gurgle into life and then it’s sparkle is seen emerging from the dark peat soil. Hafren carving out shapes in the rock. How did the River get its name? There are a number of explanations with their origins lost in a time of Iron Age, and probably older, worship of water nymphs and goddesses. Once three sisters; all water spirits, met on the slopes of Mount Plynlimon to discuss how best to reach the sea as they greatly desired to explore the waters of the Celtic Sea and beyond. The first of the sisters, and most hasty, decided that she would take the shortest and most direct route. She made her way down the mountains in a westerly direction. Reaching the sea before the others, she became known as Ystwyth (Rheidol). The second sister was not so hasty as Ystwyth. She enjoyed the landscape, and journeyed through the Welsh valleys and forested vales of Herefordshire. Arriving at the sea second she became know as the Wye. The third sister had no desire to rush. She had Ystwyth’s taste for exploring the landscape around her, but she also wished to visit the fairest cities of the kingdom and see the wonders of men. She became known as Severn. In an number of places its as if Hafren is in a hurry to reach her destination as here at Blaen Hafren Falls. Another legend is darker and is recounted by Geoffrey of Monmouth. Locrinus, one of the sons of the Trojan Brutus who is supposed to have founded Britain leads an army to the north of England to defeat invading Huns who have already defeated his brother, Albanactus, in Scotland. With the invaders defeated, Locrinus falls for one of the prisoners he has taken, a German girl called Estrildis, whom he wishes to wed.But as always it is never that simple. Locrinus is already promised to Gwendolen, daughter of Brutus’s second-in-command, Corineus. Then at other times she is willing to take her time to meander through the forest. When he heard that Locrinus had other ideas to the match Corineus, marches to London and forces Locrinus at knife point to honour his word and marry Gwendolen. Seeing that he may have made a mistake Locrinus keeps his promise. But being sneaking and deeply in love he keeps Estrildis as a mistress in an underground dwelling in London. Pretending that he is making sacrifices to the gods, Locrinus visits his lover for seven years, and surprise, surprise she falls pregnant and bears him a daughter by the name of Habren. When Corineus dies, Locrinus sees his chance and denounces Gwendolen and marries Estrildis. Mad with rage, Gwendolen returns to her fathers lands raises an army in Cornwall. She then marches against Locrinus, defeating her former husband’s forces and killing Locrinus in a battle near the River Stour (probably the Severn tributary, that joins the Severn at Stourport). Gwendolen then ordered that Estrildis and Habren be put to death, whereupon they are drowned in the Severn. In tribute to the guiltless Habren, she pronounces that the river should bear the child’s name – Habren or Hafren. 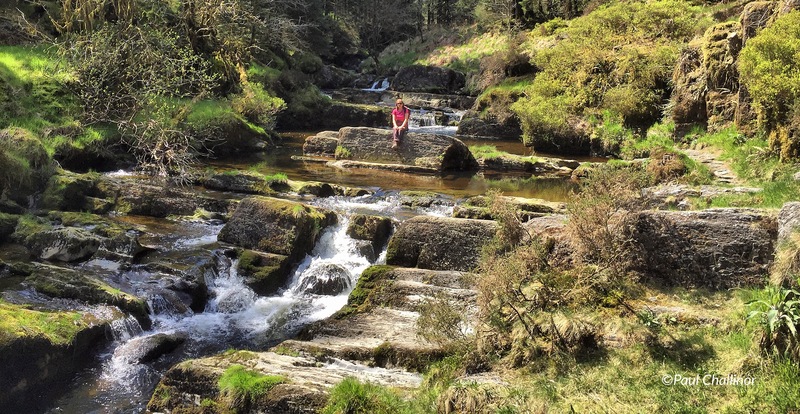 Hafren effectively becomes the genius loci of the river, and may even be a memory of a genuine river goddess. Which ever version you prefer they seem to be based on a deep folk memory. A need to explain the natural landscape, to provide answers and give a sense of understanding to what is happening around them. Very quickly the river builds and within only a few miles is has broadened out into a wide river at Llanidloes. Here is it joined by the Afon Dulas and Afon Clwyedog, making an early statement about the power and majesty that Hafren will become later. From Llanidloes she flows north east through Welshpool, before turning south at Shrewsbury becoming the border between Wales and England for much of its course. Passing Bewdley and Worcester before Gloucester, eventually becoming the wide and treacherous Severn Estuary. This also includes the Severn Bore – no not me in a pub! But a natural phenomenon that Aunty and I witnessed a few years back. The enlarged Hafren at Llanidloes after joining forces with the Afon Dulas and Clywedog. Just as a post script, I’ve been experimenting with the camera on the iPhone. All photograph in this and the previous few blogs have been taken exclusively with the iPhone, and I’m impressed.